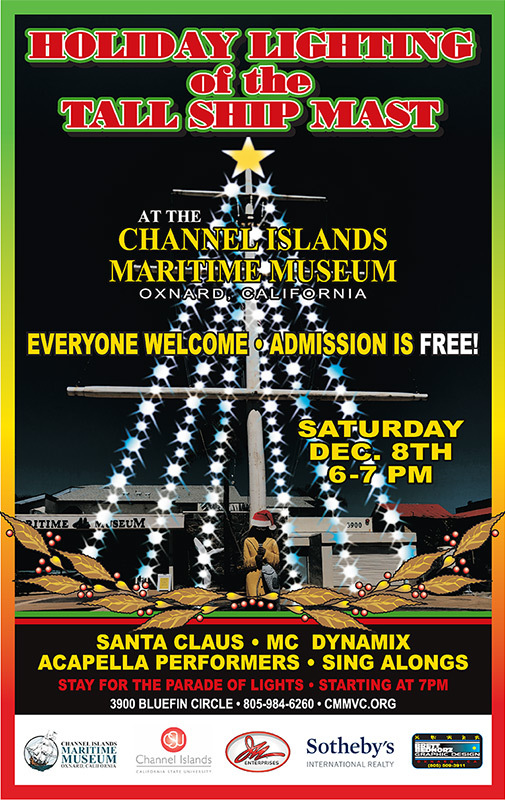 The Channel Islands Maritime Museum is excited to start a new tradition at the Harbor; The Holiday Lighting of the 75 foot “Tallship Mast” in front of the museum. It will take place on December 8 at 6 p.m. before the start of the 53rd annual Parade of Lights. There will be carolers, sing-alongs, a visit from Santa and the official Lighting of the Mast which will shine nightly through the Holiday Season. EVERYONE is invited to this free event!